The Glazing Guides are small lightweight clamps, which are temporarily attached to the window frame to assist glaziers install glass. They prevent the glass falling away during the installation. 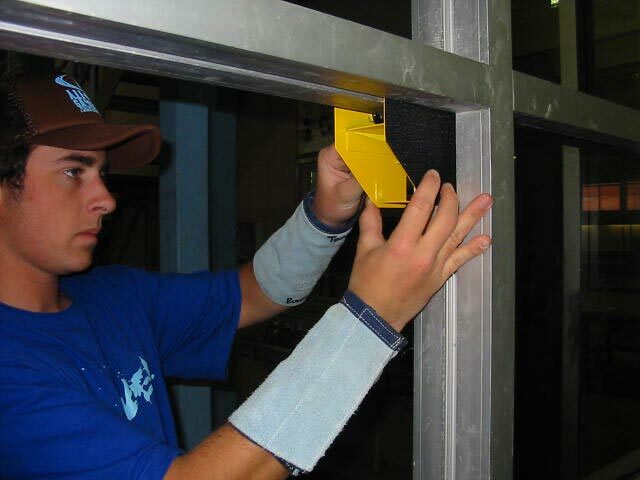 The Glazing Guides can be used during emergency work, i.e. drilling the shutter to the Glazing Guides to secure the premises until the glass is replaced. 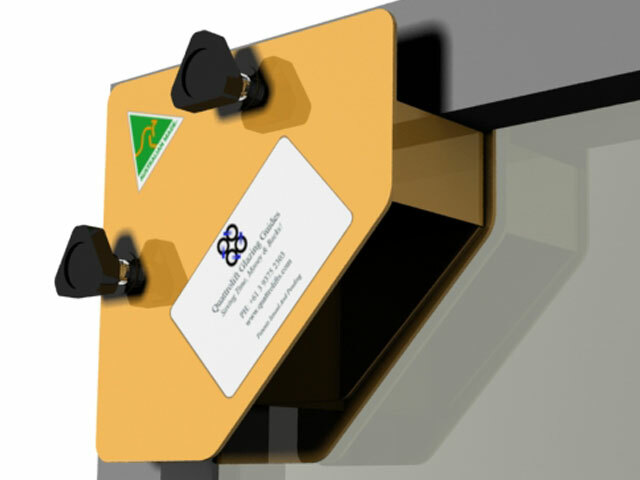 Dramatically reduces the risk of the glass falling through during installation. Eliminates the need to having a glazier standing inside the frame to prevent the glass falling through during installation. Reduces damage to the frames during emergency reglazing work. The Glazing Guides are an important tool to assist glaziers install glass by reducing the risk of the glass falling through / reducing the need to send out the extra person to stand on the inside of the frame while installing the glass on the outside. As you can see, using the Glazing Guides will make glass installation more efficient.